But did The Jordanaires really record this number first? Well, according to their own website (see http://www.jordanaires.net/about/disco/listing.htm) they released the number in 1950 on RCA 20-4607 as "Gonna Walk Those Golden Stairs." In reply to my own enquiry to the site, I was told that the recording was made in 1949, and that they would contact me again if a more accurate date could be established. I heard nothing more. 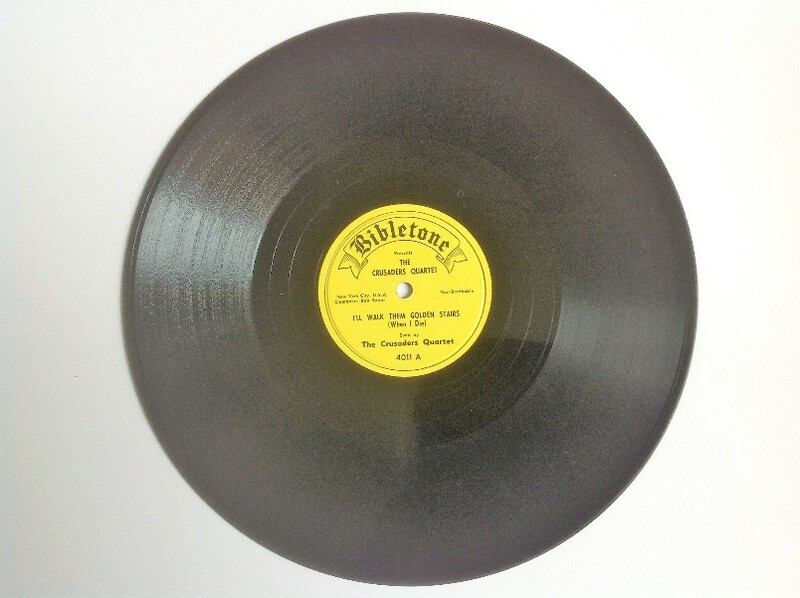 But RCA 20-4607 was probably not actually released until 1952, so did they really wait three years between recording and release? One usually reliable site provides a recording date of 12 October 1951. When Jesus says to me-e-e, "well done"